In April of this year, a first-time author named Robert Galbraith released a book called The Cuckoo’s Calling through Sphere, an imprint of Little, Brown that received rave reviews. Turns out, the person behind Cuckoo’s Calling is not the debut of some former military official, as “his” bio suggested, but Britain’s favorite modern-day author, J.K. Rowling. The mother of Harry Potter, Hermione, Ron, Dumbledore and so many other iconic wizards and witches confessed the truth after London’s Sunday Times received an anonymous tip about her pseudonym. 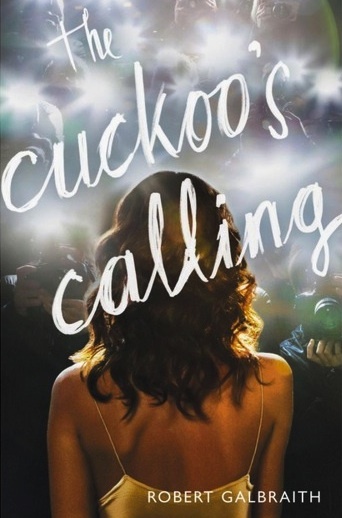 The Cuckoo’s Calling, about a down-and-out private investigator who suddenly finds himself amid a scandal involving the rich and famous acquaintances of a dead supermodel, is Rowling’s ninth book. Other works (besides HP) include 2012’s the Casual Vacancy, which is currently being developed into a series for BBC. JKR is just so classy! Cannot wait to read #cuckooscalling ! !